Whether for personal meditation or scholarly study, these quotes from church leaders throughout history will inspire those working to care for God’s creation. 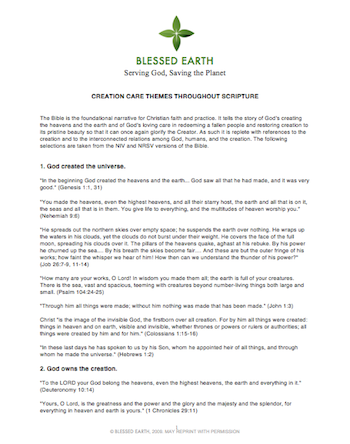 Thanks to the outstanding scholarship and research of Fred Krueger, his full guide to creation care quotes traces the history of Christian leaders who have advocated protecting the earth. 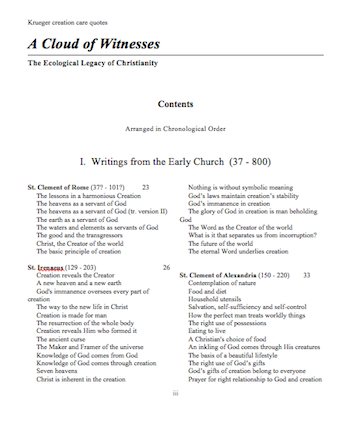 This comprehensive collection of quotes from history’s most renowned leaders of the Christian faith offers inspiration, as well as evidence of the Church’s long history of concern about creation.